Stay with one of our partner hotels. Save money and be close to the SB Community! We work with partner hotels close to the Cobo Center to ensure you get competitive accommodation rates during your stay in Detroit. Space is limited, so book your hotel room within the Sustainable Brands hotel block at your earliest convenience. Discover comfort, style and 4-star service at Detroit Marriott at the Renaissance Center. Ideally located on the famous RiverWalk in downtown Detroit, Michigan, the 70-floor hotel is just steps from the Cobo Center. Gaze out on downtown Detroit, the river and Canada through floor-to-ceiling windows in spacious, well-appointed hotel rooms and suites. Built in 1924 and lovingly restored, The Westin Book Cadillac Detroit is a historic landmark in the heart of the city’s resurgent downtown district. The luxury hotel offers a place to refresh, recharge and enhance your well-being. The award-winning Crowne Plaza® Detroit Downtown Riverfront Hotel stands out in downtown Detroit’s business district, with its location neighboring the convention center near the riverfront. Located just off M-10 Lodge Freeway and within walking distance of Cobo Center, this Detroit hotel won IHG’s Designer of the Year. Fly with our partner airline. Depending on your ticket type, United Airlines is offering attendees 2-10% off your airplane ticket. Visit www.united.com/meetingtravel and enter ZGUD801623 in the Offer Code box. You may also call United Meeting Reservation Desk at 800-426-1122 Mon-Fri 8am – 10pm ET and Sat/Sun 8am – 6pm ET. Booking fees are waived for meeting reservations. Travel must be booked between 5/27/19 – 6/12/19 in order to receive the discount. Our trusted and exclusive hotel reservation partner is Executivevents. Other companies may pose as Sustainable Brands approved providers, but we advise that you decline all unsolicited hotel reservation offers made by phone or email. 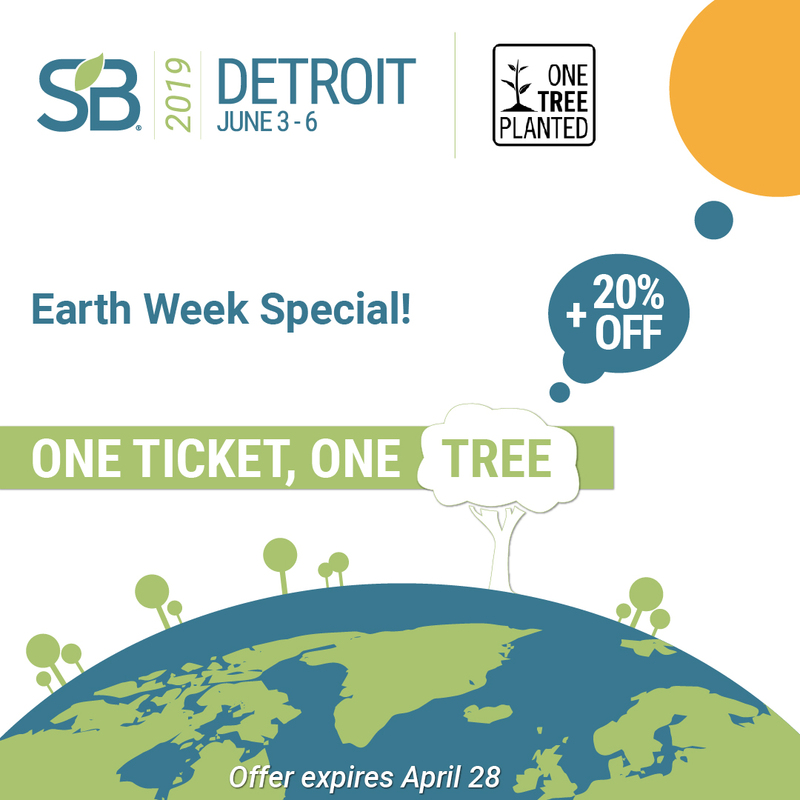 Hotel reservations within the Sustainable Brands block can only be made online via the direct links below or through the Sustainable Brands Lodging Team. For any questions about hotels, contact [email protected].